is a nationally recognised company delivering flexible learning courses to adult learners to help achieve their goals in further education. 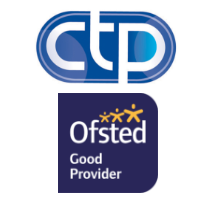 We consider ourselves to be one of the country’s leading organisations in using technology to deliver assessments and courses. In order for individuals to succeed, we provide them with the necessary tools to develop their skills. Most of our learners have given us the feedback that learning with us has given them the skills to help them shape their future. Alongside providing Maths, English and IT we also provide other vocational online qualifications. After an initial visit to the centre all learners can choose the course suits them, and study either at the centre or in the comfort of their own home with regular centre visits to allow our tutors to evaluate their learning progress. Our centres provide specialist skills, knowledge, expertise and building of self-confidence to develop individual’s prospects within the labour market. Our primary aim is to offer provision of quality professional training geared to deliver nationally recognised skills required to obtain suitable employment. 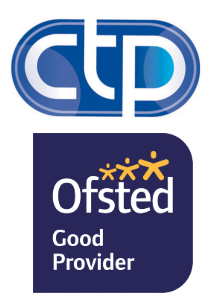 CTP Learning Centres work with several of the largest UK providers such as Seetec, Ingeus, Action for employment (A4e), EOS, Jobcentre Plus, Jaguar/Landrover, FLT Liverpool, Bootstrap and Intraining. We work towards the same goals; to deliver courses and training to enable our learners to achieve the skills level required by prospective employers. Our aim is to help people get back into a workplace environment. We work towards this by delivering a variety of courses to allow learners to achieve further qualifications when they feel ready to continue their learning journey. Being linked to the companies above is showing that together we can help many people who wish to gain more qualifications, and ultimately prove their skills are appropriate to their needs.